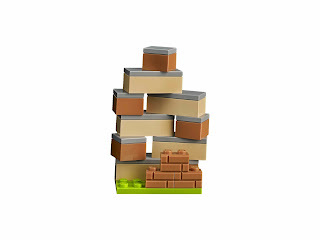 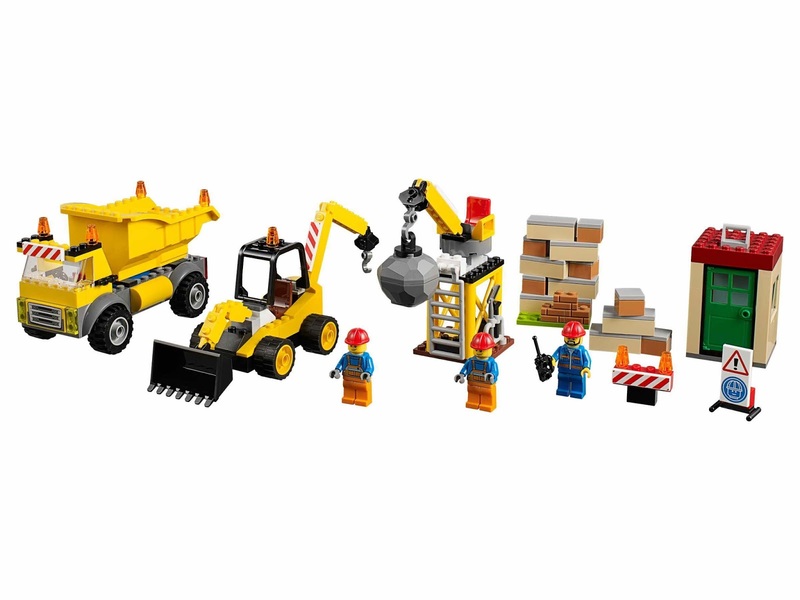 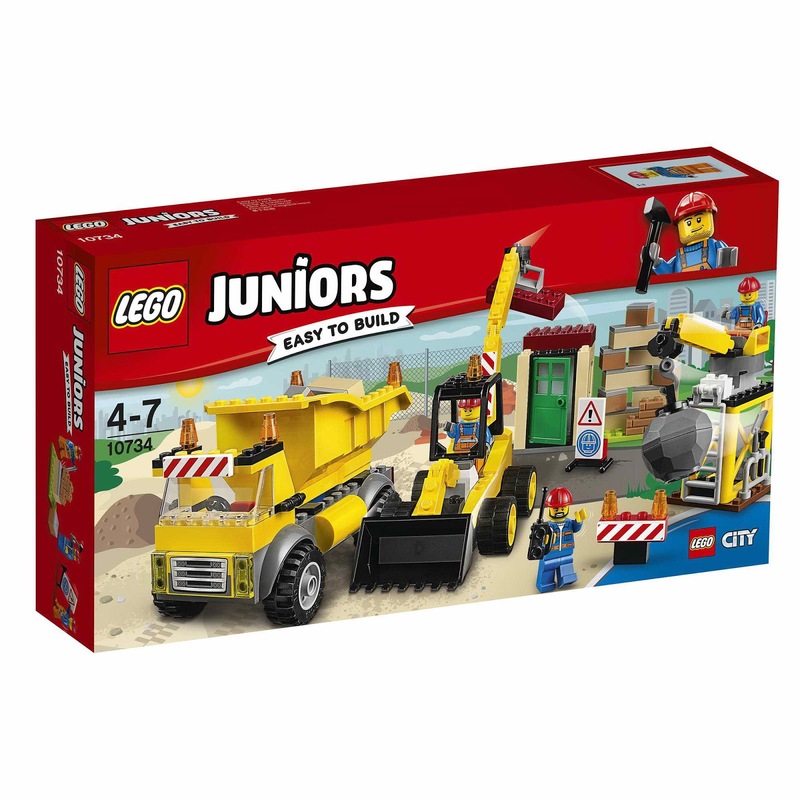 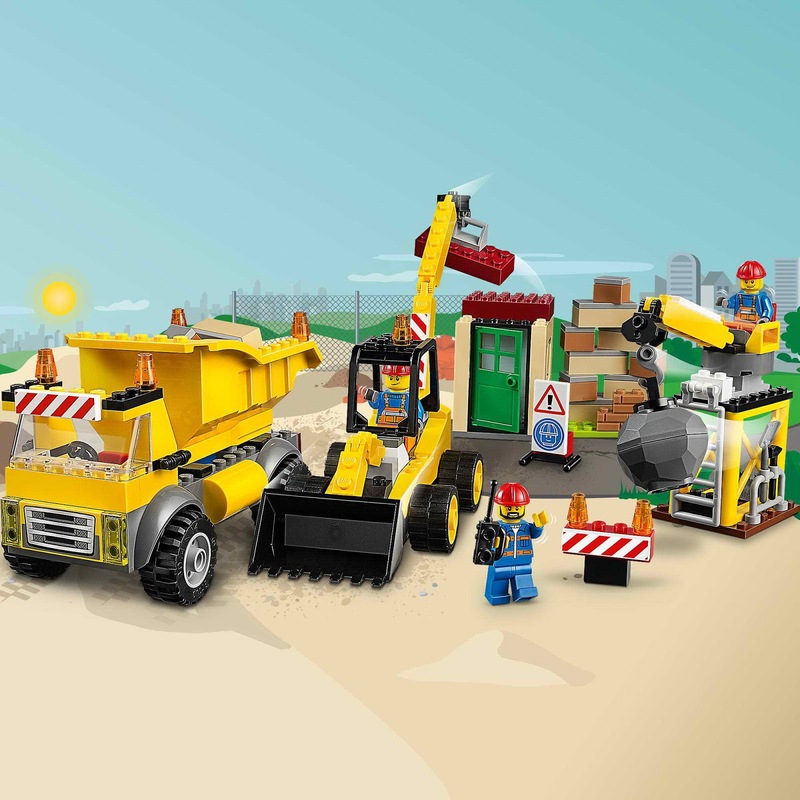 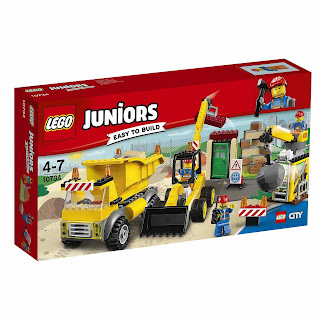 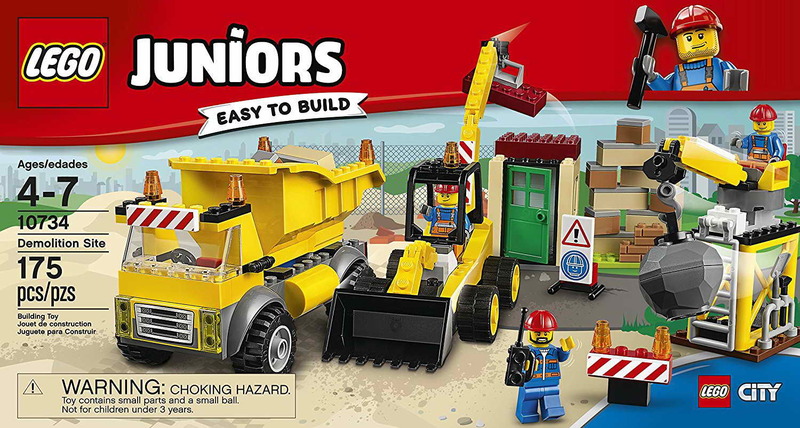 come with a dump truck, a digger, a demolition crane and a building under construction. 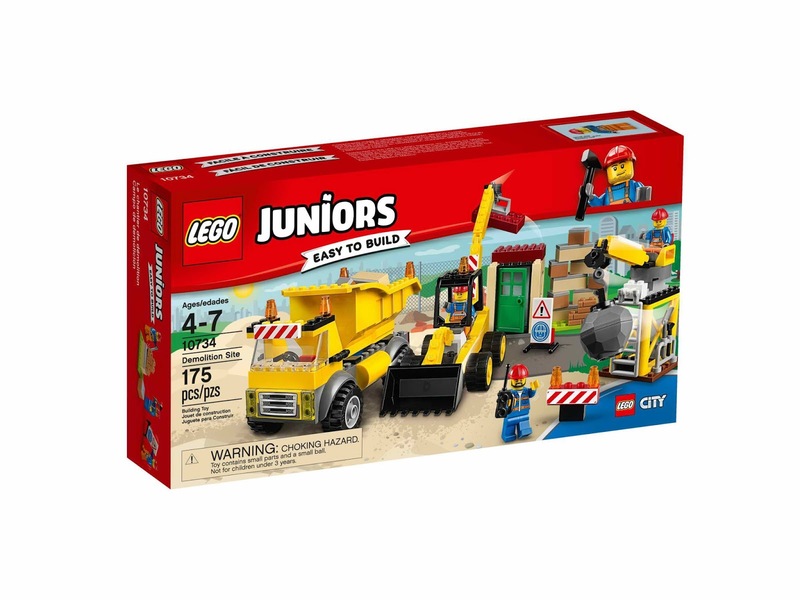 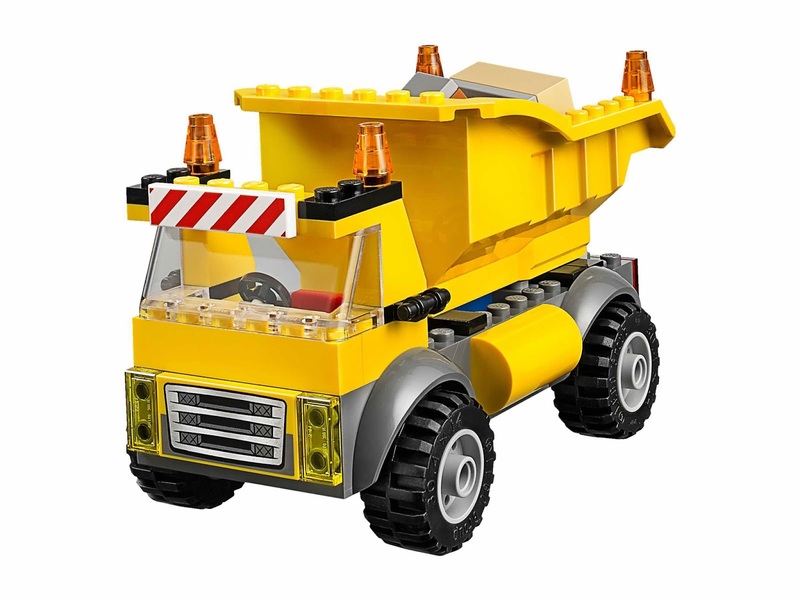 the dump truck has a minifig seat and a tiltable open box bed. 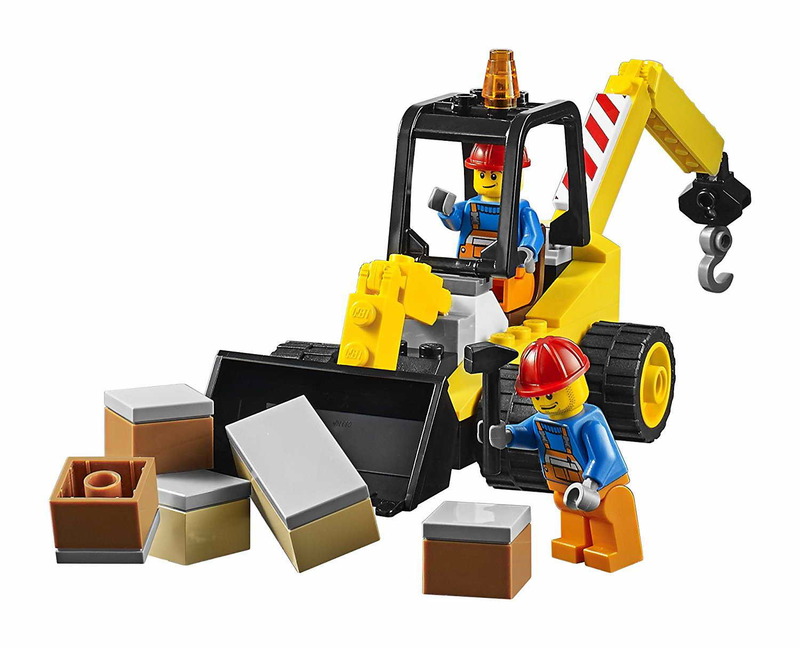 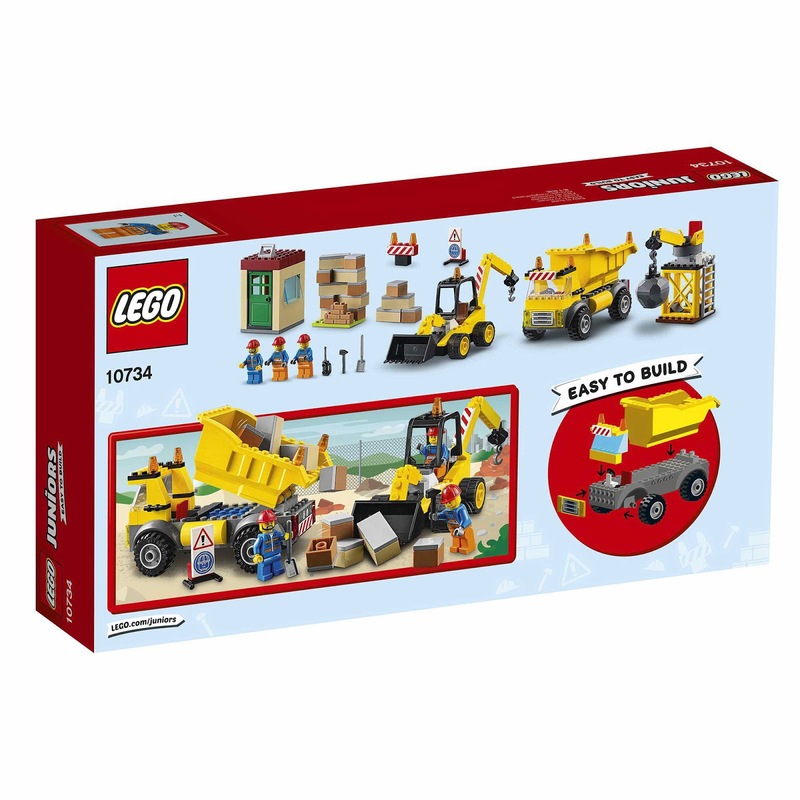 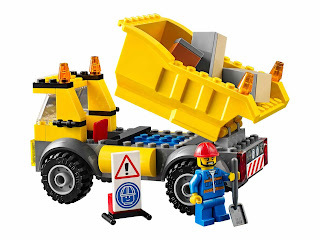 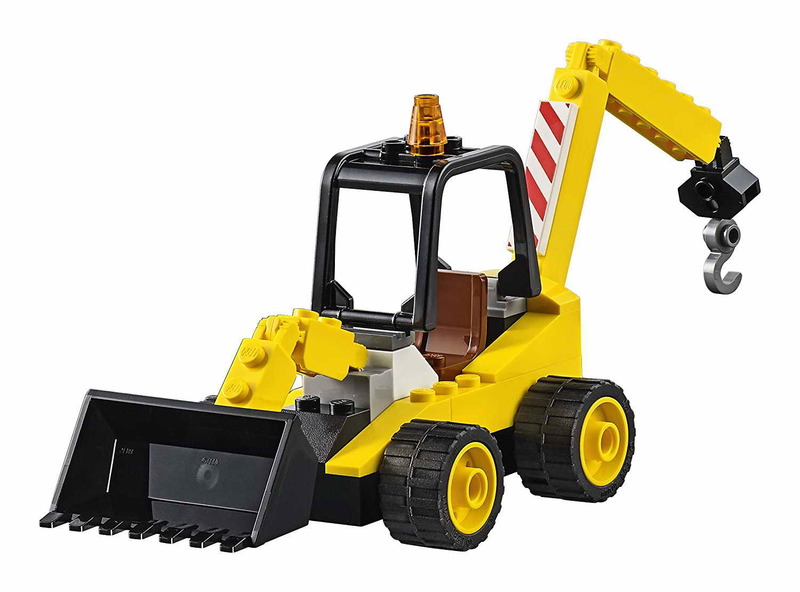 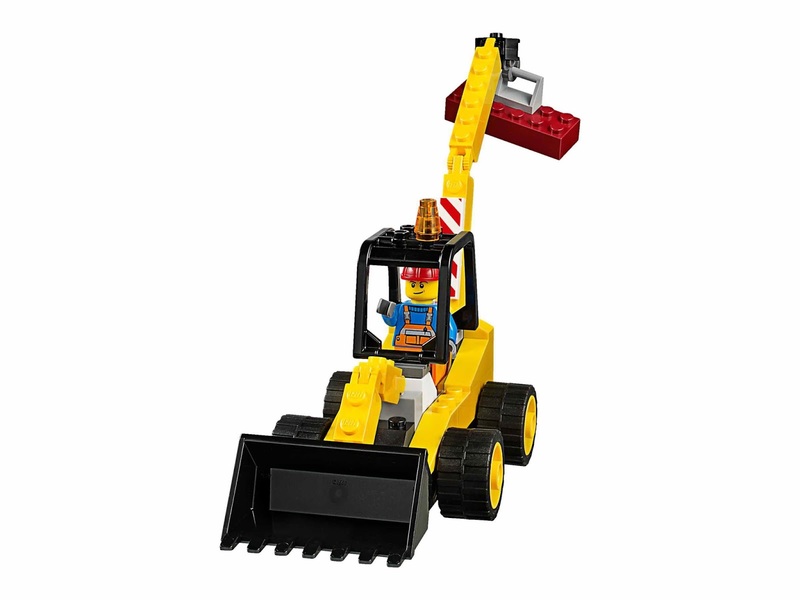 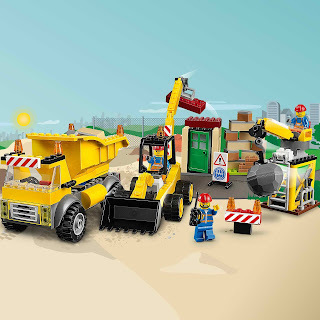 the digger has an elevatable front bucket, a liftable back arm and an openable cage seat for minifig. 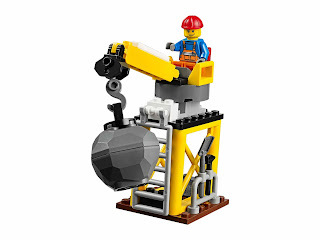 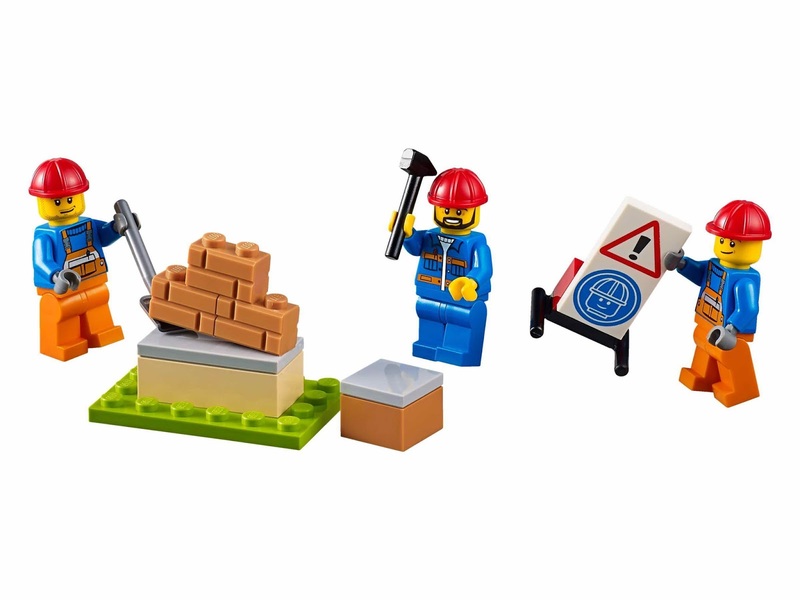 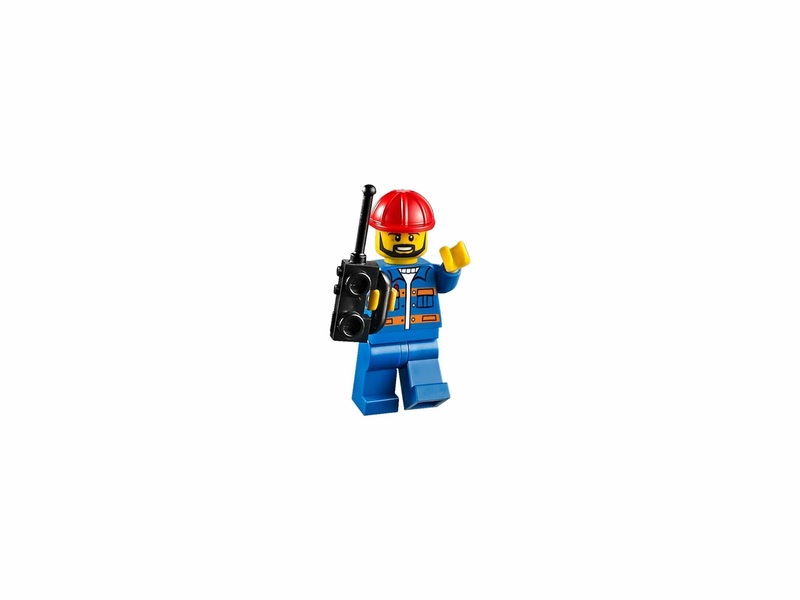 the demolition crane has a stand with a ladder at the back, a rotatable minifig seat and a rotatable arm with wrecking ball. 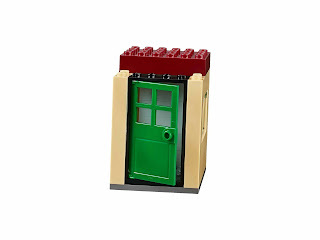 the building has a door with frame, a knockable down roof and wall. 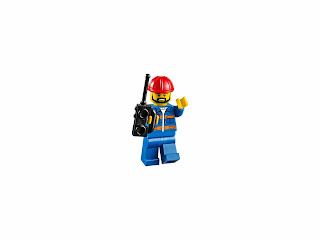 minifigs included 3 construction worker minifigs.